Scunthorpe United win 6-5 on penalties. Che Adams struck a hat-trick as Harry Redknapp's' Birmingham thrashed Harry Kewell's Crawley 5-1 at St Andrew's to cruise into the second round of the Carabao Cup. The 21-year-old striker, who is attracting the attention of Derby, recorded his first treble for the club with goals in the 27th, 42nd and 66th minutes. David Davis and Robert Tesche were also on the scoresheet for the Blues as they brushed aside Crawley, who only had Panutche Camara's late consolation to show for their efforts. Following a 3-1 home defeat to Port Vale at the weekend, Crawley boss Harry Kewell made nine changes but it was to no avail as they were completely overwhelmed in their first ever game against Birmingham. Adams was always a major threat and the only surprise was that it took the home side 28 minutes to take the lead. Crawley, always a yard off the pace, were finally prised open as a result of a quickly taken free-kick involving David Cotterill, who slipped the ball into the path of Adams and he coolly slotted his low shot to the left of goalkeeper Glenn Moore. Adams narrowly failed to add a second goal when he cleverly produced a reverse lob which hit the post and bounced back into the arms of Moore. 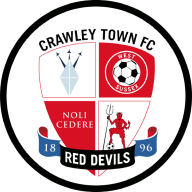 The writing was on the wall for Crawley a minute later, though, when Davis produced a solo goal with a raking shot on the run in the 39th minute to virtually put the game to bed. 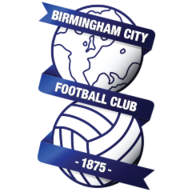 Birmingham's third came three minutes before half-time when Adams added to his tally when he nudged the ball home from close range as Crawley failed to clear their lines. Tesche replaced Davis at the break but he required only three minutes to make it 4-0 when he headed home David Cotterill's cross, while Adams sealed a fine individual performance with his third goal just after the hour. Crawley's 86th-minute consolation goal came from Camera with a powerful drive.